Ugghh, I was wondering why they didn’t use a control group who were receiving standard care (i.e., fluids, specific diet, which IS for the most part, standard care for most CRF cats)!! Sloppy research, sloppy study, sloppy marketing and sloppy product! Thank you for looking into this. It’s too bad that people believe advertising and are buying this product without investigating it, and it’s too bad Amazon is selling it. Something interesting that I noticed on Amazon… in the reviews, someone named Mark Garrison (this is the owner’s name who is also the inventor and “marketing director” ) claimed how it helped his cats in response to a negative comment. I think it is quite telling that the owner is commenting on internet forums AS IF HE IS A LEGIT CUSTOMER!! I also found a Nancy (I think it was Nancy) Garrison posting on animal forums praising Renavast and claiming her cats were part of the initial study!! I always thought their initial Facebook comments and blitz praising the product in animal forums were faked so that naive people would buy it and get the placebo effect. The crime of this all is they may actually be harming the animal by ignoring standard treatments. Here are the ingredients in Renavast for cats as listed at vet rx direct- they’re also listed on the bottle. I was informed of this by the customer care at renvast. Amazon often doesn’t list ingredients for some reason. I have tried this for my crf kitty and unlike all the other supplements, this one didnt’ make him vomit and I hope it will help him. I also have him on pepcid, enlapril and a raw diet. He doesn’t need further treatment. I have a 19 year old tabby who is suffering from CRF, which I really consider old age. He is off the charts when it comes to longevity. The vet just gave me some RenAvast. My vet used to work with the Humane Society and he has been my cat’s vet for 19 years. I’m going to trust him on this, but I’ll update everyone in about a week or two to tell you if there is any difference. Danny, Studies show veterinarians report a treatment helps 50% of the time when only a placebo is given. That’s why we need more than testimonials to determine treatment. Show this blog to your veterinarian. He may not change he mind but it may stimulate a conversation or even a post by him on this blog. Actually, the ingredients are listed on the bottle if you bothered to research it. Animal supplements rarely have any clinical studies and never have control groups. The reasons are obvious. To do a proper pharmaceutical level clinical study the makers of any supplement would have to put hundreds of cats into a control group and then monitor them for years afterwards in controlled environment. It’s not like a human study where you give the control group a set of guidelines, send them home and check back in 5 years. It’s silly to criticize the Renavast study in that context as it is more than most do. We do have to rely anecdotal evidence when it comes to a lot of animal treatments. That is why passing along good information and not fear mongering is a better policy. BTW, while I am no apologist for Renavast’s earlier aggressive marketing, I can add that my 8 year old cat was diagnosed with CKD in 2012. She had lost 2 pounds off her 9 pound frame and her kidney values were progressively deteriorating. I made a diet change to high quality wet food, filtered water and Renavast. Today she is back to full weight, her numbers improved to high normal or just above normal and have been stable for 18 months. I do not want to claim that this is solely due to Renavast because there were other interventions as well, but I would never take Renavast out of her regimen and my Vet is now offering it to her other CKD clients. supplements rarely have any clinical studies and never have control groups. The reasons are obvious. To do a proper pharmaceutical level clinical study the makers of any supplement would have to put hundreds of cats into a control group and then monitor them for years afterwards in controlled environment. It’s not like a human study where you give the control group a set of guidelines, send them home and check back in 5 years. It’s clear that you know very little about how FDA licensing trials are conducted, how we use science to validate our therapies, and the costs of not conducting such evaluations. It’s true supplements in both veterinary and human medicine are rarely properly tested. This is not because such testing is not possible, affordable, or necessary but only because supplement companies have the political influence to prevent appropriate regulation, and they are not willing to do the right thing without being compelled to do so. The fact that so many people like you have been misled into believing such testing can’t or needn’t be done only makes it easier for these companies to avoid doing it. There is no “fear mongering” here. I have simply provided an assessment of the evidence and the reliability of the claims made by the manufacturer based on that evidence. If you believe that relying on anecdotes instead of science doesn’t hurt anyone, you don’t know much about the history of medicine. A lits of active ingredient items is not a list of ingredients and does not show whether those items come from an ingredient that is toxic to cats and may cause liver or other damage for example. Nineteen cats for a short while to test a CHRONIC disease is worse than a sad joke. However, magnesium stearate as an excipient DOES cause thymus damage and that means susceptibility to chronic disease, including FIP. (This common toxin is used to make drugs go through machinery more easily, but which can be done with less toxic options that cost a bit more – tells you where the ethics really is here). In my book – no ingredients list – means no use of the product. It’s not like there are no better options. Kidneys are easily repaired by feeding high ANIMAL protein and ZERO plant protein or plant oils, no fruit or vegetables, and a supplement of fish oil and Vit E.
And THOSE ARE INGREDIENTS YOU CAN KNOW ABOUT AND TRUST. My vet have me some of this for my 21 year old cat who has ckd but excellent health than that ( and some teeth, sight, and a little stiff in her legs). She wasn’t eating so it was hard to give her, but now she us eating and I plan on giving it a try. I have had numerous cats, most ended dying of kidney failure. So, I know her symptoms now and I knew exactly what is to come. If this improves her, I will believe that it has merit. If it doesn’t, then it probably doesn’t help. And what if it harms her? That’s the crux of this issue. No one knows the “proprietary” ingredients, amounts, formulations, whether or not there are harmful substances added, etc. Above all, the manufacturer has done nothing to convince anyone whether this product is safe or effective. Key word, nothing. Sloppy study that would never make a peer-reviewed publication, refusal to divulge formulation of ingredients and/or additional ingredients, and marketing gimmicks galore (dubious claims), without one shred of evidence it does what they say. Your kitty deserves better than that. Harms her? You mean like the inevitable pain and death of kidney failure? It is marketed as a nutritional supplement. I don’t think amino acids are going to harm her more than what I know for a fact is going to come…and come soon. My kitty deserves a chance. Plus, I have an excellent vet so if he is convinced, I will give it a try. She is 21 and her life will be ending soon. I feel very comfortable giving it a try bc I know the alternative. We take chemo (literal poison to our bodies) to extend human lives all the time. Chemo is a gamble and it impacts everyone differently. My mother in law had extended her life. My friend was killed by the chemo. These are choices we all make everyday. I am trying it. Irene, kidneys are not easily repaired through diet. I know! Been there done that. Also, I will post my findings, good or bad, right or wrong on my part. I have a full blood panel of organ function before the supplement so it should be easy to discern. My vet suggested this supplement when my 15 year old cat had to go on Meticam for arthritis in his back. At the time his BUN numbers were just slightly high but Meticam is known for causing kidney problems. She said she had heard of this product and put 2 of her own old cats on it before she would suggest it to her clients. He has now been on it for about 6 months (along with weekly Meticam doses)and his kidney function has improved. I’m personally sold on it. Most supplements don’t have big clinical trials as there isn’t enough money to be made on them unlike prescription drugs. Then most people wouldn’t be able to afford them for their pets. My dog was diagnosed with CRF in March. I have been trying many things to help her to no avail. A week ago she took a turn for the worse and I was preparing for the worst. My Vet very honesty said I don’t know if this will work some people say it is hocus pocus but she has seen it help cats. I said I will try anything. Well it has been amazing RevAvast along with SC fluids and she is eating, not vomiting and putting on weight. She is never going to be 100% but her quality of life has improved dramatically. If they are dying anyway why not try it especially since it works. Someone should invest in a real Study maybe the person who wrote the review should out your money where your mouth is and pay to do a study. So the company that sells the product and makes money from it is free to make claims based only on anecdotes, but if I criticize this then I ought to pay for studies to see if the product works? That is a pretty bizarre way to look at testing medical treatments. I’m glad your cat is doing well, but it doesn’t prove anything about this product any more than all the similar anecdotes for every other therapy ever tried proved they worked. If we relied only on anecdote, we’d still be practicing bloodletting and ritual sacrifice to treat illness. And if we let anyone market whatever they want with whatever claims they want and expect only skeptics to pay to generate real scientific evidence, then we are returning to the days of snake oils that killed millions of people. mini follow up. My cat is responding to this supplement. She was needing fluids every other day and the food stimulant bc she wouldn’t eat. Now she has more energy and her appetite is up. She doesn’t seem to need the fluids as fast. I went 4 days and she still was eating and having energy when I took her in for fluids last. It is definitely helping the kidneys but I want to wait a little longer before getting her full blood panel again ( fit comparison). I actually agree that they are super secretive about the formula and study and this is cause for suspicion, but it didn’t change the fact that my cat was near dying and now is walkng around, jumping, hitting the cat box, eating, energetic, etc and all in her own. I will let you know in few weeks of her status. Hope this is a positive trend for this 21y/o girl. “The study is currently being peer reviewed and we expect publication in a respected journal by the end of the year.” -this was from an email I got asking them for the study info. This is odd that they won’t share it. Even though it seems to be helping my cat, I have noted my calendar to contact them again in 6 months for the info. Since a placebo effect is mainly psychological, how does an animal qualify for a placebo effect? The point of this is that studies how people, vets and owners, report a benefit when a fake treatment is given. A huge chunk of the placebo effect in animals is due to the fact that animals can’t report their own symptoms. People decide whether an animal is responding to a therapy, and we are wrong 30-50% of the time when the therapy doesn’t actually work and we think it does. That’s just a reminder of why anecdotes like “I gave Treatment X to my dog and he felt better so X works” are not reliable. 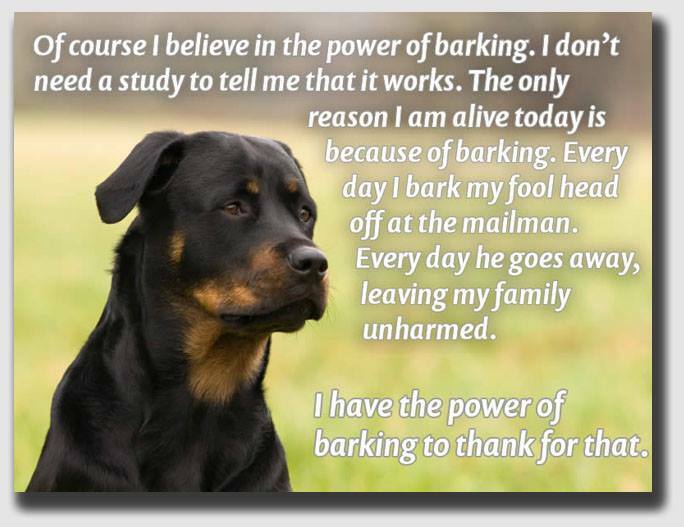 There are some other ways in which placebo effects operate besides beliefs and expectations, and these apply to dogs and cats as well, but most of the effect is on the people caring for the pets which think something is happening when it isn’t. You say fake, but in doing so you show your bias. It isn’t fake just because it hasn’t been studied to the level of your liking. It may work, but had not yet been studied to the level of your liking. It would be like saying that a tomato had no nutritional value before they studied it. I can attest to the study as well as the effectiveness of Renavast. It saved both of my kitties lives. Two of my cats were part of the study for Renavast. One kitty named Ruby, died of a heart attack 3 years ago at age 18 and was on Renavast for 2 years before she passed. And my other cat Charlie is 18 and is currently doing very well andhe has been on it for 5 years now. Both cats were given blood work every 6 months and all symptoms, blood work etc. were were followed very closely by Mr. Archer. Both cats were diagnosed with kidney disease at the high end of normal. a painful death again, so I know how devastating it can be to watch your companion rapidly die after a few short months. Little did I know at the time, but do now that when a Vet finally tells you that your cat has kidney disease and or renal failure, your cat probably only has about 40% of its kidney function left. And this is if they are at the high end of normal. Most people don’t realize that when this is said to you, your cat is basically only going to live a few more months as kidney disease progresses rapidly. Sure you can do the fluids, the expensive unhealthy food from Hills or Royal Canin, or the expensive Azodyl treatment at 100 dollars a bottle form your vet all simultaneously to keep your cat going from day to day. Or you can do what I did. I changed both my cats diet to Wellness, high protein grain free diet and started giving them Renavast. No fluids, no expensive foods etc. and he has not gotten worse. Not that you’re going to care, but for the record anecdotes like this prove nothing (see below), the rate of progression of kidney disease is variable, unpredictable, and often not nearly as rapid as you suggest would have happened without the Renavast, and the renal diets you call “unhealthy” are proven to improve quality and length of life, which Renavast is not. If this sort of uncontrolled personal observation were really reliable, we wouldn’t need science. But if we still relied on anecdotes instead of science, we’d still be relying on bloodletting and prayer and half of us wouldn’t live to adulthood. No thanks. This is not an uncontrolled personal observation. Charlie has NOT been on any other supplement other than Renavast since he was diagnosed with kidney disease 5 years ago and I have the Vet records to prove it. He is 18 years old and was diagnosed with kidney disease at the high end of normal in 2009. He should have died years ago. His latest blood work as of about 3 weeks ago show levels of BUN (blood urea nitrogen), creatinine, and phosphorus to all be about the same as they were 6 months before and before that. His levels have stopped getting worse and he is ALIVE and healthy. The proof is in the pudding dear doctor. And as far prescribed diets to treat renal failure made by Hills and Royal Canin, please read any and all literature on the subject by Dr. Lisa Pierson and stick it in your pipe and smoke it. “Many of these very expensive products contain corn, wheat, and soy which have no logical place in your cat’s diet. These diets are often very high in carbohydrates and, of course, all of the dry versions are water-depleted. Many of them also contain by-products as the main – and often only – source of protein. It is important to note that most of these diets do not have robust clinical feeding studies supporting their safety for long-term feeding or even for use in treating the various diseases they target. On the contrary, we have plenty of evidence to show that feeding water-depleted, high carbohydrate, plant-based diets to carnivores does not honor their carnivorous make-up but, instead, promotes disease in this species. It is also critical to understand that there is no independent agency overseeing these diets’ medical claims. None. Zero. Including the FDA. The fox is definitely guarding the henhouse and the FDA shows no interest in remedying the situation. The FDA has ‘punted’ the responsibility of scrutinizing these diets for efficacy, safety, and suitability to the veterinarian but most veterinarians are very poorly educated in the area of nutrition. This field of study is not emphasized in veterinary schools and the minimal course work that is required, is often taught by people who have strong ties to the pet food industry. These are also usually the same people who are advising general practitioners on all matters of nutrition. After recognizing this situation, you will see an obvious and very significant conflict of interest. In the end, the members of my profession allow Hill’s, Purina, Iams, and Royal Canin to dictate what ends up in our patients’ food bowls”. Donna, just so you know, “high end of normal” does not necessarily mean renal “failure”. Many cats can live with chronic renal disease for several years with proper care. Thankfully, your Charlie is a great example and may he have more happy years ahead! Quoting Lisa Pierson doesn’t help your argument. Some of her comments make sense, some of her other comments are complete nonsense. I never described Charlie’s condition as renal failure, I described it as renal disease. We both know that when a kitty presents with kidney levels at the high end of normal, they only have 30% kidney function left. Without treatment of any kind, they may die within a year. The “proper care” that you refer to is very vague. Charlie has been given Renavst ONLY for the last 5 years and NO other supplements or prescription diets. His diet has been Wellness wet food Beef & Chicken. One half can twice daily. To anyone reading this besides, the dear doctor here, try it, it works. “Renal failure” is just a term for chronic kidney disease, not a suggestion that clinical symptoms are imminent, so we are talking about the same thing. Ideally, Charlie’s disease should be staged according to the IRIS staging system, but the point is that “may die within a year” is not different from saying “may live for several years.” The precise prognosis is unpredictable, and so whether he would have lived just as long without Renavast is something no one can know. As for “proper care,” again I refer you to the IRIS guidelines for treatment, which are not at all vague. The “proof” is not in an anecdote like this but in proper controlled scientific research. If anecdotes are sufficient proof alone, than bloodletting, Lourdes water, and a thousand other treatments work just as well as Renavast, and it becomes difficult to explain why we still have any disease at all since every therapy out there can produce anecdotes showing miraculous results. I heard about RenAvast from a chat room. Our cat is 17 and eight years ago it was discovered through Xrays for something else that she had half of one kidney still functional and it didn’t look too good. She’s always vomited a lot, but two weeks ago she was throwing up everything, even water. She also has an inoperable abdominal tumor, so we were thinking the tumor had gotten in the way and we’d have to put her down right after Thanksgiving or maybe before. We decided to take a chance in case it was kidney issues, $23 is cheaper than a vet visit, and it has been amazing! She is hungry (very) and super-frisky, her poops are normal, she is drinking less and peeing less too. (Normally, not huge amounts like before.) So for what it’s worth, RenAvast is working. It’s better than a dead cat, it’s bought her some time, and she feels good. We know she’ll die from either the tumor or the kidney situation, and she’s old so there’s not much we can do but keep her comfortable. We are not vets, we only have the one elderly cat, but we are delighted with the results. This cannot be determined by x-rays, so clearly something is wrong with either the diagnosis or your understanding of what was found. One of the biggest weaknesses of testimonials like this is that there is no way to be sure the problem someone thinks they are treating is actually the real problem. In this case, your cat may have kidney disease, though the explanation you give for how that was determined doesn’t make sense, but even if she does this may have nothing to do with the symptoms, and the improvement may have nothing to do with the Renavast. Likewise, if she has a tumor, this is more likely to be the cause of the symptoms, and no one claims Renavast treats abdominal tumors, so there’s no reason to think the Renavast is responsible for the change. As for being cheaper than seeing a doctor, is this really the best way to choose a medical treatment? If you had an abdominal tumor and kidney failure, would you go to the drug store and by some untested over-the-counter remedy or see a doctor? Our cat was crushed from the middle back by the drug dealers who lived next door to us. We had her at the emergency vet and then to two others. They all took X-rays of her spine and pelvis in various views, and the kidneys did indeed show up. One is tiny and shriveled and the other is only partly there. 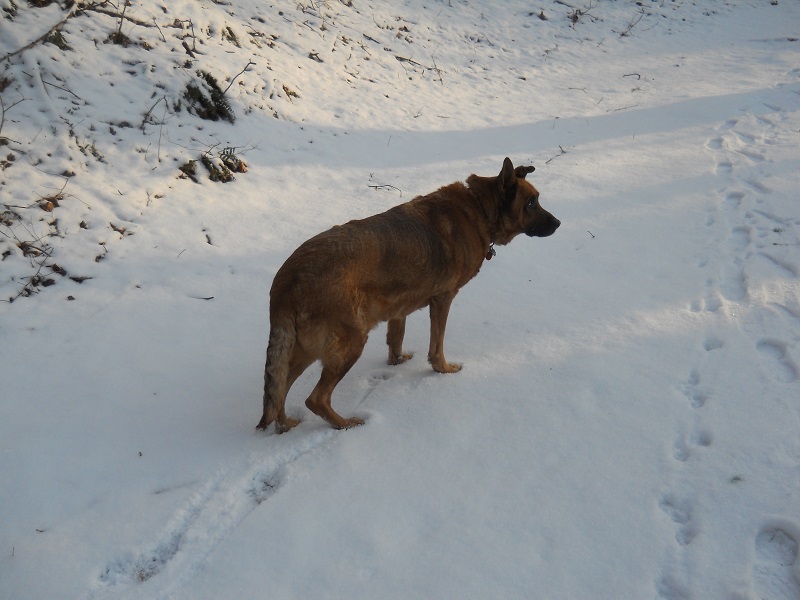 Her kidney values were slightly abnormal, this was eight years ago and we were warned to watch for excessive thirst and urination, as well as vomiting, because all of the vets who treated her were of the same opinion that she would eventually show the classic symptoms of CRF. (And we are aware of them too as we have had a couple of other elderly cats who eventually died from kidney problems.) These symptoms have developed, she is 17 and we are not going to put her through too much in the way of testing and treatment due to her age, frailty (even though the eight pelvic fractures, broken leg and hip too have healed), and general debility. We just want her comfortable. I have no idea why RenAvast worked but it did. We went from four to six barfs a day to one a week. It was like flipping a switch. So snake oil or not, it’s working. I don’t understand it either. I fully agree about the placebo effect, but…the cat feels better. We don’t know for how long and there is no other treatment other than SubQ fluids for her at this point in her disease. And, I repeat, it was cheaper than a vet visit and euthanasia. Her tumor is small and inoperable due to her general state of health. Either that will get her or the kidney stuff will, likely sooner rather than later, so we’re all about quality of life. Hers, obviously–and a side benefit is ours, since we aren’t scrubbing the floors, rugs, and furniture quite so often. We are grateful for all the wonderful care she received over the years, and are also grateful that our vet did not push all sorts of dubious quackery on us during all that time. If it’s only amino acids and wouldn’t harm a cat even if it didn’t help why wouldn’t it be worth trying ? Since no harm done if it didn’t help ? The problem with that approach is that not having evidence means not just that we don’t know if it’s effective, it also means we don’t know if it’s safe. Only amino acids are listed on the bottle, but there are no regulations governing content, so who knows what else is in it? A recent investigation of GNC, Target, and Walmart found that many of their purported herbal products didn’t actually contain what was on the label, because unlike pharmaceuticals nobody is watching. The same lack of oversight applies to supplements for animals. My own guess is that the risk is low, but it’s just a guess, and given there’s no reason to think it would help it’s just one more thing to force your sick cat to take. As I mentioned earlier, anyone who does try it should at least be very careful that it doesn’t reduce their cats appetite, because cats with renal disease can be very picky about food and easily put off their diet. This supplement has been the changing factor in my dog’s health. My 13 year old Pomeranian has been in congestive heart failure since before adopted her. Seven months after adopting, her kidneys began failing, she was in so much kidney/body pain and was being blinded by Uriec ulcers. The ONLY changes I made was giving her RenAvast 2x/day and an eye ointment. Within a few weeks her pain was gone completely. She started acting and functioning like her old self. I’m only meant was administered 3-4 months and whether that is what he told the authors or whether the urea in her system was lowered by the supplement I do not know. However, I do know the ulcers are gone as well. A dog given likey less than six months to live has now been taking the supplement for a year and a half and is acting younger More energetic than ever before! Too much coincidence for me to not believe RenAvast (now called AminAvast) works and has made the difference between life and death. We are a rescue. I have used this product extensively on cats. It works well if your cat is not too far into kidney failure. As long as you have a senior blood panel run and your cat is just starting to show increased BUN and Creatnine levels, it works like a charm. It will also work to eliminate the vomiting in cats well into kidney failure and make their final time more comfortable. I have also used it on our senior dogs, so far so good. I am very satisfied with the product and am about to reorder, and I recommend it to everyone. Renavast definitely works! You can call it coincidence but my 18 yr old cat was diagnosed with kidney issues – increased BUN levels several years ago. She had lost weight and was wobbly. After less than a month on Renavast she made a turnaround and is still going strong. You can say whatever you want to about the scientific studies but I did nothing other than put her on Renavast. One and 1/2 years after her first diagnosis she had maintained her weight. The vet asked me what I was doing. No other changes in her living circumstances or diet except Renavast . The ingredients are listed so that is a mistake on your part. I understand your perspective but for me the bottom line is that she is alive and well. My 5 year-old cat Dane has been on RenAvast for 3 or so years. He was diagnosed with chronic kidney disease within a year after we got him at 7 months. 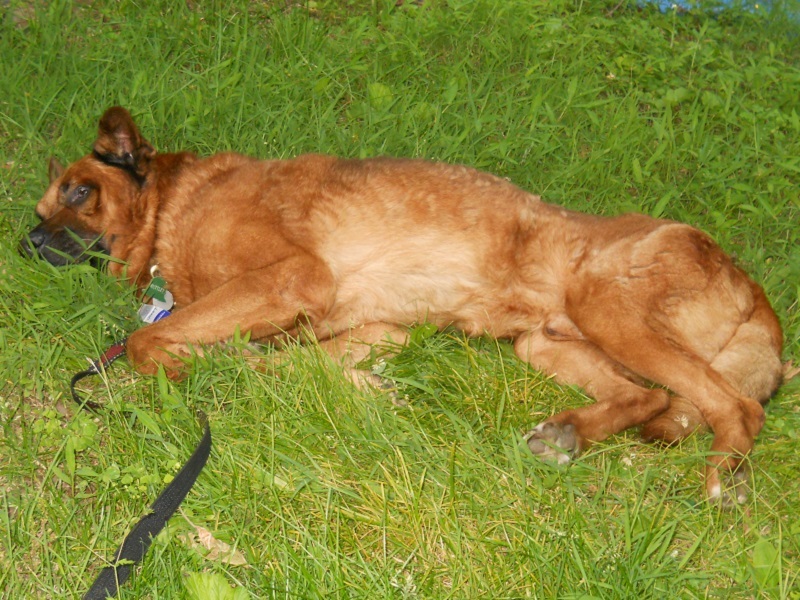 Our vet says she was involved in a clinical trial of RenAvast and recommended it. I am skeptical and still am. Nevertheless, we are using it as we have believed the claim that it is not harmful to cats. Although this is purely anecdotal, Dane’s creatinine has remained a steady 2.6 for 3 years. He is fed grain-free wet food (canned) mixed with a little water and the RenAvast. We know that there is nothing that can IMPROVE his kidney function but we hope it will remain steady without deteriorating for years to come. We believed RenAvast is either helping or it isn’t helping, but either way, wasn’t harming him. Last week, he developed diarrhea which our other cat Sophie had, and we thought it was a “bug.” Sophie got better in a couple of days but Dane became lethargic and wouldn’t eat. We thought he was dehydrated so we took him to ACCESS/City of Angels (I mention the name because they are very reputable) expecting he would simply need fluid resuscitation. Ultrasound revealed significant thickening of the small bowel and prominent mesenteric lymph nodes. The diagnosis is one of 2 things: irritable bowel disease or intestinal lymphoma. It’s possible that the two cats had the same “bug” and the findings on ultrasound were incidental to the diarrhea although obviously far more serious. (These two diseases do not always produce symptoms, at least in the beginning.) Now I’m wondering if the RenAvast didn’t cause the thickening of the intestine. This probably sounds crazy but everyone on this blog knows what happens to our brains when our darling cats become ill. Skeptvet, any thoughts about any harm that can result from the known ingredients in RenAvast? Anyway, I thought it was interesting that RenAvast recently changed its name to AminoVast. I wonder if it has anything to do with the FDA inquiry. All I can say is that my cat was diagnosed with early kidney disease in 2008.She is now 17 years old and going strong…. Her numbers stabilized after her first year taking it.Whatever it is or does…IT WORKS FOR MY BABY GIRL. Thanks for your clear explanations, skeptvet. My vet recommended this product (now called AminAvast*, after being banned by the FDA), but I wondered why I had to buy it on the internet. I tried searching Web of Science and PubMed for any peer-reviewed publications on the critical ingredient “AB070597” and came up with nada. I got my present dog “Mr Tibbs” in June 2017, as a senior estimated 13 years old with pronounced wasting and weakness in his hind end. He was about 75 pounds. By September I noticed he was drinking and peeing a lot, and he was found to have kidney failure. The vet prescribed Hill’s K/D and AminAvast, 4 capsules daily. I cut back to 2-3 daily, and his values got worse – so then I have been giving 2 caps twice daily. He now weighs about 100 lb and seems healthier. The levels stabilized but his test Friday showed them increasing (I think from 17 to 20 whatever that means), so I was advised to give the full recommended dose of 4 caps twice daily. The cheapest price for AminAvast I found is $38/60 caps, so this dose will cost about $150/mo, plus about $80/mo for food and $20/mo for Phos-bind (Aluminum Hydroxide). I hesitate to skimp on the dosage, but I’m on Social Security and this is expensive. I may go to another vet for second opinion and maybe try “Renal Essentials” which would be only about $30/mo. I understand what you are going through and I have the credit card debt to prove it. What is “Renal Essentials”? Some kind of homeopathic crap? I wouldn’t bother. Please talk to your vet and explain your financial concerns, see what he recommends. And also agree, please seek a second opinion if you’re able to – a new vet can re-evaluate Mr. Tibbs’ current treatment plan and make further recommendations if warranted. Kidney disease is rough especiaily when it gets to the point of kidney failure. Had a dog with kidney damage due to Lyme disease. It was two years of hell trying to keep her comfortable. Meds, prescription diet, subq fluids sometimes every day. Back and forth to the vet. Good days, bad days. Once uremia kicks in…..not much you can do.